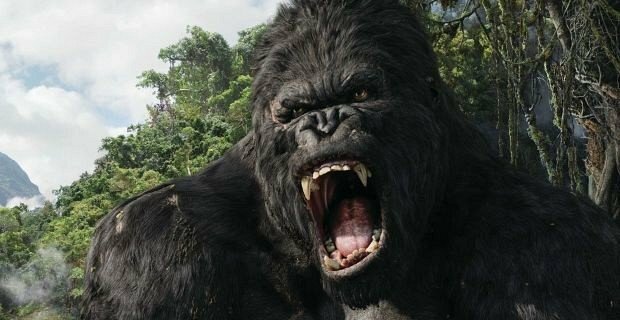 Not since the arrival of last year’s set photos have we caught a glimpse of Jordan Vogt-Roberts’ starry creature feature, Kong: Skull Island. That all changes today, however, after Warner Bros. pumped out a set video introducing the film’s leading cast and the primordial adventure that awaits them. You can find said clip below. Capturing scenes all across Hawaii and parts of New Zealand, Skull Island is a total overhaul of the famous King Kong story, though it’s a pitch that still orbits around a core team of explorers that throw caution and common sense to the wind in order to plot course for the titular isle. That quest involves a fabled elixir, with Tom Hiddleston’s intrepid explorer leading the hunt for the seemingly mystical serum, encountering all manner of strange creatures along the way. Scripted by John Gatins and Max Borenstein of Godzilla fame, plans are in place for Vogt-Roberts’ reboot to pave the way for a shared monsters universe at Legendary, a cinematic umbrella that will also house Gareth Edwards’ hulking King of Monsters in due time. As for Skull Island, Warner Bros. has confirmed that principal photography has now wrapped, easing the feature into post-production as the visual team hunker down for what will no doubt be a monumental VFX process. On board for the film are Samuel L. Jackson, Brie Larson, John Goodman, Tian Jing, Corey Hawkins, Jason Mitchell, John Ortiz, Shea Whigham, and Toby Kebbell. Laying the groundwork for a shared monsters universe over at Legendary, Kong: Skull Island will roar to life on March 10, 2017.